Finished Jul 2017. Final score: 3 / 5. 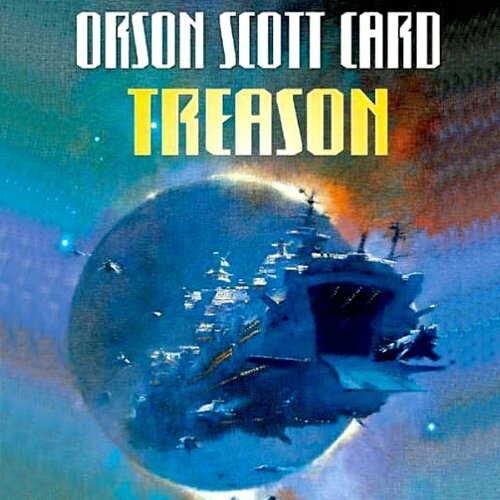 I've enjoyed previous books by Orson Scott Card. None. I walked in to this blind. If you are a fan of Orson Scott Card, you'll enjoy this book. Lanik Mueller is a radical regenerative living in a society that harvests spare organs. He escapes to explore other areas of his prison planet. Sounds like a nice premise for some good sci-fi, doesn't it? The book is like an Orson Scott Card variant of Gulliver's Travels. Lanik travels to various areas and meets a completely different society. Some of the sci-fi mechanics I thought were just too fantastical. By the time Lanik finished his travels and phase 2 of the story began, it was difficult for me to believe much of what was happening. Despite that, the story was well told, and I did find it entertaining. Discuss Treason in the forums.